I’m pretty sure everyone is thinking it but how is it September! Where did August go? It feels like it was only the beginning of summer a few weeks ago, and now it’s almost Autumn. I can’t lie though I am excited for Autumn. As much as I love sunshine, I am looking forward to cosy jumpers, layers and going hunting for conkers. 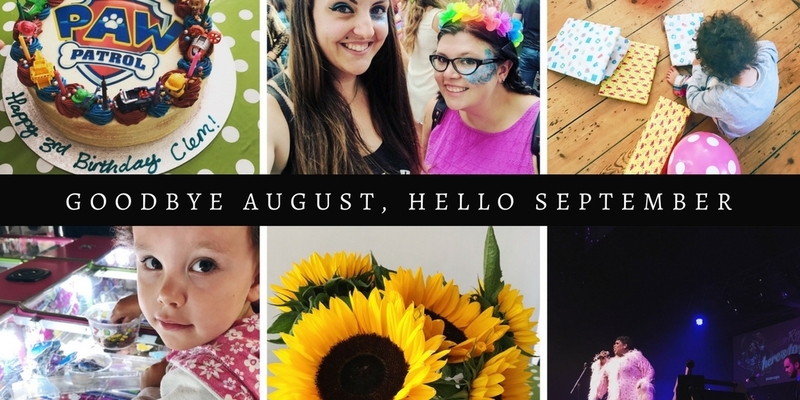 But before I get all excited about that here is what August looked like for us. Sunflowers – My friend Daisy gave me these. So although they weren’t from our garden but we did grow some this year. Clem really enjoyed watching them get taller, and now we have harvested the seeds for next year so we can grow more. Birthday time! August is Clems birth month and she turned 3!! I still can’t believe we now have a 3 year-old. She starts back at preschool this week and will be going for more days and longer hours. Which means we will have to get used to a new routine. A paw patrol themed cake for Clem’s birthday. It was so yummy! Seriously if you ever want a cake and you are in Brighton then head to Cloud 9. We went to the circus last weekend and it was amazing! I hadn’t been to one in a very long time, and it was the first time for Clem. She loved it, especially the flying lady. My plants in the bathroom are growing nicely and now I just want to turn it into a jungle. I went to London for a night out and saw Latrice Royale perform her show ‘In my life’. I cried, laughed and cried some more. It was a lovely evening out, and now I can’t wait to see Adore at the end of the month. I’m slowly getting to see my favourite drag race queens. On a rather grey and windy day we headed into Brighton to meet some family friends who we haven’t seen in a long time. 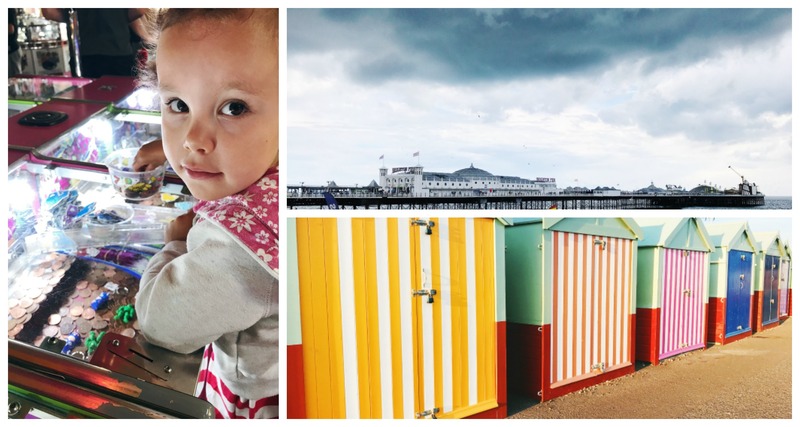 We wandered along the pier, ate fish and chips for lunch and spent some pennies on the 2p machines. All summer I have been planning to take Clem to the soft play that opened on the pier and I still haven’t. So that’s on my to-do-list for September. I can’t help but take photos of the colourful beach huts along the front. I love all the different colours and patterns. The stripes are definitely my favourite. 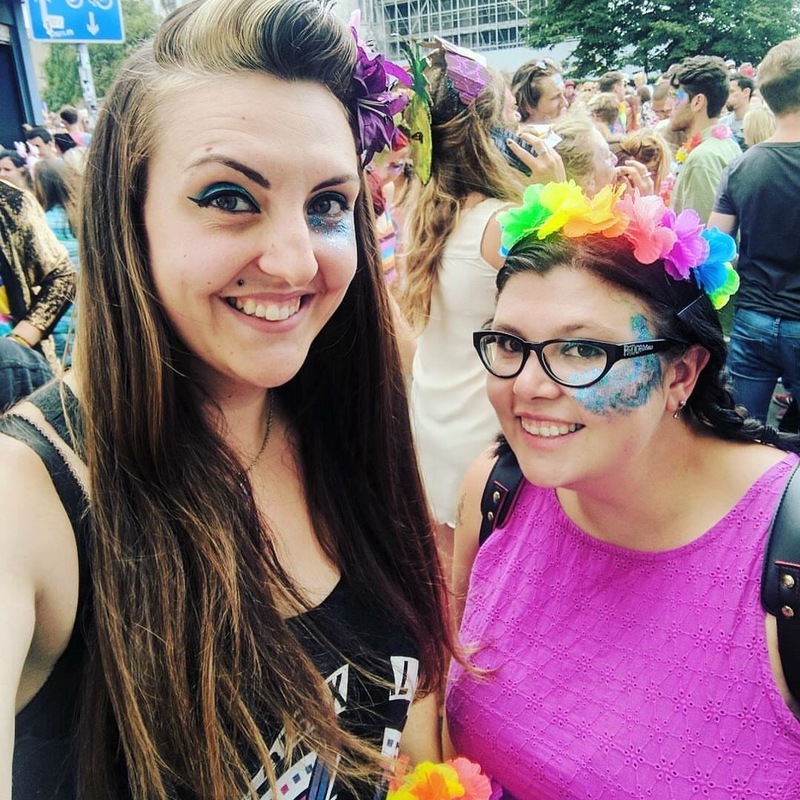 Finally I attended my first ever Pride and it was great. The town really came alive for the 3 days of events that happened. My friend Daisy came down, so we put on our glitter and headed off to watch the parade through Brighton. The rain managed to stay away until the parade finished which was nice. I loved the sense of community and everyone was just singing and dancing in the streets. Bring on next year!